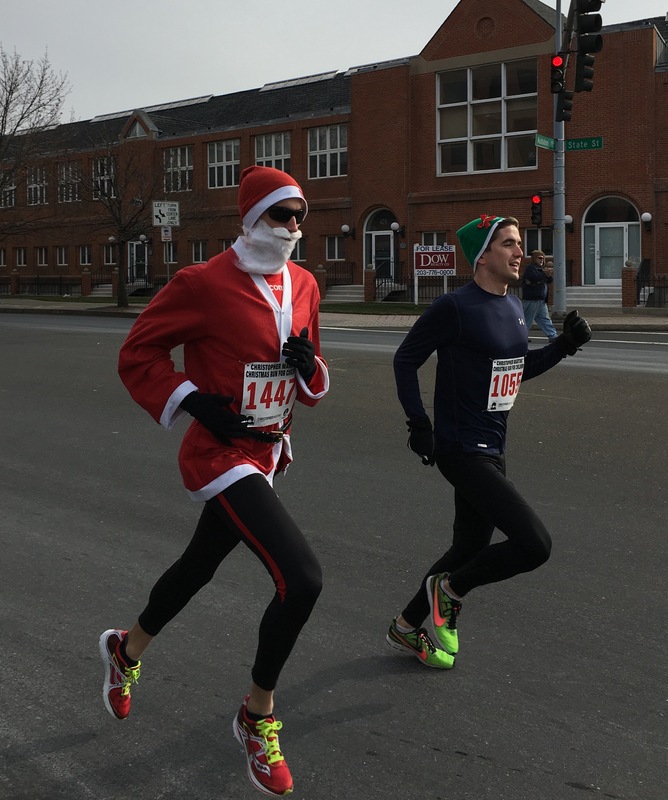 Tim is a 30-year-old theologian, marathon runner and mActivity member from Massachusetts who can run a 3:58-minute mile…. I wasn’t subtle in my reaction either. His time is just 15 seconds slower than the fastest mile runner in the world, Hicham El Guerrouj from Morocco who runs a 3.43-minute mile. The American record is a 3.46-minute mile. I was dumbfounded—what is the secret to such a feat? He said, “In yoga, running and in religion, there’s this thing about just being while doing the task that you set out to do. Something holy about it; you can train your body to its peak physical fitness, but if you don’t have it mentally, spiritually or socially, you might not see the results you want. Whether you’re religious or not, spiritual or not, there is undeniable power in observing our thoughts. For those of you who have been training and are mentally preparing for the race tomorrow, here is some inspiring insight from Tim on the fastest way to the finish line. Stephanie: What changed in you from running in high school to becoming one of the best runners in the country? Tim: Time happened. 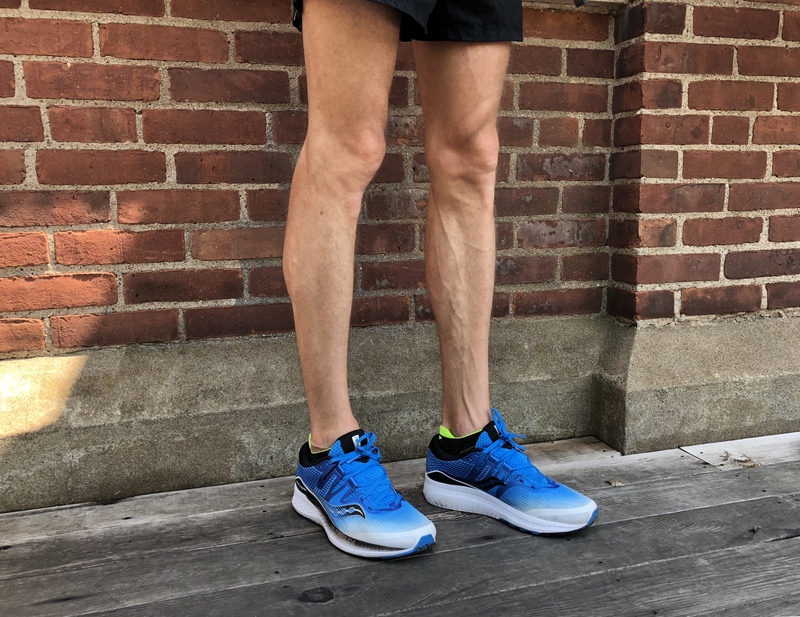 It was a slow evolution toward discovering my potential and passion for the sport, and I continued to get a little bit better every time I ran. I have had a lot of great mentors and advocates in my career that supported me and provided opportunities. I ran with team USA in the World Half Marathon Championship and won the US Marathon Championship in Sacramento, California last year. In 2014 I signed with Saucony Shoe Company who sponsors me to compete, so I treat running like a job. You know, I get up, eat breakfast, prep to run, go run. Then I go to the gym and train hard. Stephanie: How do you train at mActivity? Tim: I usually just grab a foam roller in the corner and sit there for 15 minutes. I make it look like I’m doing something… but I’m mentally preparing to lift. I try to be in the weight room three to four times a week. A lot of it is for injury prevention, increasing mobility, and strength. Strength provides more power and force over the course of 26 miles. There is time to be gained; the closer you get to the top, the more valuable those seconds are on your time. I don’t run with music. Listening to music masks my effort. I want to know and feel how hard or easy I’m working. 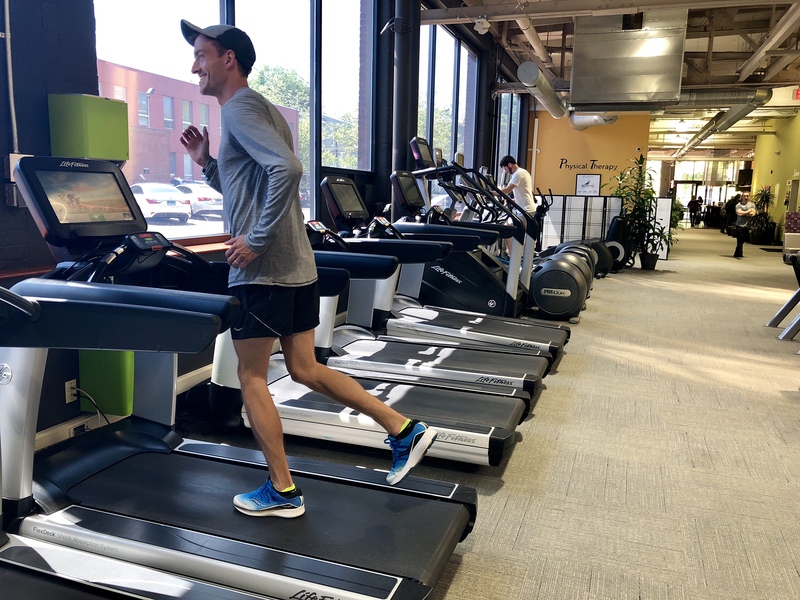 Running is a spiritual experience ­­for me—I either transcend my mind and feel totally clear and focused, or I do a lot of mental work on my issues and problems. Stephanie: You studied theology at Boston College. Does your religious background impact your success as a runner? Tim: I have become a better person through running. Competitive running has a lot of low points and high points, so finding stability through my faith is like finding the humility in the good things and patience through tough times. I have failed a lot—or haven’t achieved my goals, which is usually to come in first. I didn’t make the Olympic team in 2016, which was a pretty big blow. But I’m still training for the 2020 trials. There’s one race and only three runners make the team. A lot can happen on that one day. I need to be competitive at my level to be able to succeed, but running has also taught me that I’m not in control as much as I want to be in control of my successes. I can try as hard as I can and lose. It’s more like having indifference that’s not complacency. If my purpose is to know love and serve God, then I can do that in successes and failures, I can do that in health and sickness, I can do that on good days and bad days. There isn’t an objective thing tied to it. Stephanie: Everyone in our community is working toward something. What advice do you have? Tim: Everyone has the same amount of time. It’s a matter of finding that perspective, creating goals that push you to be the best that you can be. I’m not talking about an unhealthy need to succeed drive. It’s more about being encouraged by what you have been able to achieve and realizing that there is more potential within. Be patient with yourself. Don’t underestimate the value of hard work. Root yourself in gratitude for your body and for movement. Try to create consistency in your training schedule. If you do a little bit every day and try to enjoy it, you will get better. Whether it’s running, swimming, yoga, the business world, a medical practice, whatever—just do the best you can every day. Ritchie (wearing beard) winning Christopher Martin's race. Tim: I met Pablo at the Christopher Martin’s Run. He was very welcoming and encouraging. Every time I walk in he knows me by name and asks how my running is going. He showed me around the gym, asked if there was anything missing and said he would help me get whatever I need for running. That was really refreshing. It erased my intimidation.